These two photo keychains came from the Dollar Tree Store yesterday. They make a great quick yes/no, more/all done, first/next, etc. communication board. The large clip is also from the dollar store. Update: I handed these three keychains out at our ESY program today and had to commission a friend to swing by the Dollar Tree again and pick up more. The idea seems popular. One little six year old girl, who communicates via eyegaze (and is awaiting the new Dynavox Vmax with Eyemax accessory) took to it right away, in fact she used the pink keychain to tell me she wanted the blue one. It was pretty great. The Ablenet Image Bank has high quality photographs of the Ablenet, Saltillo and TASH line of products. The photos are high resolution and come in JPG or TIFF images. These images are excellent for use in visual glossary of assisitive technology (I like to attach these to all IEPS and 3 Year Evals), for making labels to organize a closet or shelves and to drag and drop into Boardmaker 6.0 (or upload into early versions of Boardmaker). Another section of the site has how to videos for products. Need to be reminded how to work that Super Talker? Need to train new staff on how to record messages on the Step-by-Step videos for those products and more can be viewed or downloaded. After a day of torrential rains at summer camp the idea of a waterproof seal appeals. (In fact I would want to start with my sneakers. ) In my office at camp are two Big Mack switches drying out from the quick run from the bus stop to the cabins and most of the high tech AAC users stayed home today or couldn't use their devices because of concerns about the rain (and leaky roofs). Thus the idea of AAC devices, high and low tech, with the splash proof Golden Shellback coating sounds like a good one. Watch the video below to learn more and then imagine your decreased panic during a rainstorm or at the local water park with your AAC users were the devices to have such a coating. A while ago there was a discussion on the Boardmaker listserv about storing picture symbol cards. Many, many ideas were shared. To make a short story long I have a couple of students in our extended year program who earn a visit to my office to spend time with me as part of their positive behavior support plan. One of these students loves interactive stories, so today after work I was bookmarking some of our favorite interactive book sites on the office computer and went to my local library's website to add their free (with a library card) link to Bookflix. While I was on the library website I started exploring some of the things that they offer online, either for free or with a library card. I am excited about using many of their offerings in the fall with my students. I can't wait to explore some of the audio books that can be downloaded (and sometimes even burned to a CD) with some students via Overdrive. (I am feeling very excited about keeping my Audible.com credits for myself; call me greedy!) You can search if your library has access to Overdrive on their search site or at your library's site. A little clicking around and I even discovered that a library in our consortium has free access to Tumblebooks! Now if only one of the consortium members had free access to Brain Pop and Brain Pop Jr. I would be hysterical with glee. Did you know that my public library is so cool they have a Myspace page? Yours might too. What does your public library offer? Free books for K-3 classrooms available on a first come, first served basis from Wilbooks. InvoTek, Inc. has released a new head tracked designed for individuals with disabilities called the AccuPoint. It is able to ignore tremors and reset itself without extra movements, even if the user leaves the computer. Weighing 9 ounces and compatible with any camera mount the AccuPoint is compatible with Windows XP and higher is InvoTek says they are working with major AAC manufacturers to make it work with work with their systems. The AccuPoint has two integrated switch ports. On the down side is the hideous "cluster of user worn dots" that the system uses for tracking and the nearly fifteen hundred dollar price tag. InvoTek also sells voice and sound switches. Teething Bling is food safe, phthalate-free, federally-approved silicone jewlery that is designed to be chewed on. It is sold as jewlery and key chains for mom's to wear or carry for their babies to chew on. However I thing that this age appropriate, fashionable jewlery might be great for our pre-teen to adult girls and women with disabilities who need something to chew on that is a little more fashionable and cool than chewy tubes and chewlery. The tan or green camoflage pendants could even be ok for the young men we work with. O.K. folks, short and sweet. My interactive whiteboard is likely not to happen. It needs nearly $2,000 in funding in the next three days or the $850 already donated will be redistributed as directed by the donors when they donated. Please, please, please help us out! Thank you. Update: This project expired unfunded today, July 13, 2008. Thank you to the donors who raised over $900 for this project. Your money was either returned or re-distributed as you choose when you donated. Although the blog is currently on hiatus due to some health issues on my part (see the post script on the last post) you may still support this blog/my students by donating to any of the Donors Choose Projects below or Adopting My Classroom. About 15-30 hours a week of UNPAID work goes into this blog, donating to a Donors Choose Project or Adopting My Classroom is a great way to express your appreciation. Oh, and thanks for the tips about the D.I.Y. Wii Whiteboards, I just don't think it will work with learners with such intensive needs, we need things to be a bit more straightforward with a clear cause and effect relationship. I could be wrong, but I think that we will just stick with touchscreen until I find a way to make a SMARTBoard or similar happen. During the Summer I have a different role, instead of being a classroom teacher I am the administrator of an Extended School Year program for about 60 learners ages 3-22 with low incidence disabilities. We run five days a week, five hours a day for six weeks in a great camp location. The students are grouped by age and somewhat by homogeneously by ability into nine cabins with a teacher and a 1.5 to 1 student to staff ratio. The students swim/float daily in the pond and have opportunities for boating, fishing and arts and crafts in addition to the usual extended school year fare of (functional) academics, life skills, speech, occupation and physical therapy. We use a summer long theme (this summer is "All About Me"). Some of the older students run a camp store and run for camp mayor and assistant mayor (everybody who runs sits on camp council). Two of our cabins are high tech AAC cabins (at last count there were 11 or 12 dynamic display devices at camp), many of the others use moderate to low tech AAC and two cabins specialize in autism and related disorders. We have a total of five nurses serving our 60 campers this summer. I might be biased, but I think our program is amazing. That is not to say it isn't with out its glitches. We have had two Dynavox devices bite the dust in two days of camp, the first day a Dynavox V suddenly had a cracked LCD screen (luckily it is under warranty, unluckily it means a younster is stuck without a voice) and the second day a MiniMo decided it wasn't going to hold a charge and on occassion even turn off spontanesouly when plugged in (so now there are two voiceless youngsters). I have had to change the swim schedule three times to accomodate nursing issues, therapy times and finally a shoratge of adaptive floatation devices. Changing swim times makes the grown ups very cranky! Three times I have had to remove trespassers off the property. Kicking adults who should be able to read "No Trespassing" signs out of our camp, especially when they are taking off in our paddle boats makes ME very cranky! the agency has always relied on me to use my laptop at camp, but this year it is just to broken to carry back and forth, so I brought my old desktop in and guess what happened? It broke today. I guess I will have to carefully bring the laptop with the broken hinge. I have a horrible feeling that by the end of the summer I may have NO computer of my own. P.S. "something has to give" - I have debated posting this, but since June 6th I have been very ill with pneumonia. I managed to work for a while while I was being treated (I have a very high pain tolerance), but my efforts to keep working and fight it off lead me to miss the last week of school and then to be hospitalized from June 27th until July 1st. I have had three full courses of anti-biotics and am still finishing the fourth. I am also on two different inhaled steroids in an effort to heal my lungs. As a diabetic and someone with rheumatoid arthritis (both auto-immune diseases) I have a compromised immune system. I rarely get ill, but when I do I tend to get very ill. Add to this my sister's death in March, which I took very hard, and I guess my body just could not fight off this bacteria. Although I now am working at the ESY program I am following doctors orders and only working 30 hours a week and sleeping/resting in bed 12+ hours a day. I may find I am too exhausted to post AND work now that ESY has started, please be patient until I am back on my feet again. I don't want this to drag on any longer than it already has. I definately want this cough, pain and exhaustion to be totally gone in time to go to my best friend's wedding in August and start school in September! 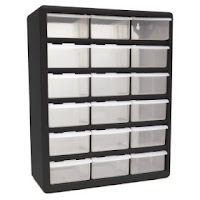 Ever wished it was more possible for your students to move their mounted devices themselves? Blue Sky Designs has created a product to help with that exact thing. Called the Mount'N Mover this universal mount was created with a focus on the user. The basic idea on the dual arm system is the hoop (that circle looking lever), which can be operated with one hand, is pushed down and the device swings from "in position" to "out of position/out of the way". Up to 12 different positions can be preset from over 1,000 choices of positions. A smaller paddle (the black "V" shaped level over the hoop, allows the angle of the device to be changed. A single arm and tilt only system are also available. The universal mounting plate can be attached to everything from AAC devices to cameras and more. It appears the Mount'N Mover will be carried by Ablenet and Saltillo (eventually). The dual arm system runs just under $1,000.00 and the single arm system runs about $800. The Deassy Positioner Mount, another dual arm (but not accessible like Mount'N Mover) runs about $900.00 and the Deassy Locking Swing Away Mount which is a single arm, accessible system runs about $750.00. Deassy has also announced a new design for a Locking Swing Away Mount to come out this summer. Deassy also carries plates that are compatible with just about every AAC device on the market, Dynavox, PRC, Tango, Tobii and more. I am not exactly clear on how the universal mount on the Mount'N Mover works. Okay folks, nine days left on my class's Donors Choose Grant to get an interactive whiteboard! I want to thank these two donors who gave $111 towards our goal, which means we have raised $722 out of $2,833. Nicole from Loganville, GA gave on July 3, 2008 who said, "I gave to this project because. I really enjoy reading your teacher's blogs - they are super helpful to me as a teacher. I know she will put this to great use and that you guys deserve it." Lynda from Oconomowoc, WI gave on July 3, 2008 who said, " I gave to this project because your students deserve it! I appreciate all the information I glean from your blog...it helps me do my job so much better. I hope you are able to obtain full funding for this project! Blessings to you & your kiddos!" Not to start sounding like NPR, but please call in your pledge now! Better yet, go to Donors Choose and sponsor our grant! Only nine days left or the $722 already raised will be reallocated to other class's projects. P.S. If your class already has an interactive whiteboard (SMART board or Promethean Board) imagine all the great stuff I can share with you if I have one too! Pitch in to make it happen! 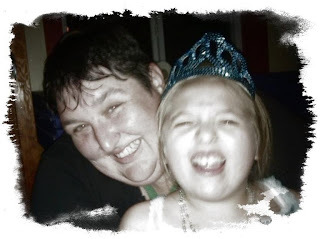 Lately, I have been reading a lot of blogs written by parents of children with special needs, especially children with severe, intensive or complex needs. Reading these blogs is a whole different kind of education, it helps put into perspective the whole life of students, beyond the 30 hours a week, 180 days a year they spend with in the classroom. It also helps one to appreciate "the other side of the table"
A colleague and I have been speaking a lot lately about how we could do more for parents as professionals, and just today I spoke with another friend about a philosophy of mine that I have been following for the past four years - "approach every interaction (with a parent - or anyone really) as a chance to make their load lighter and their path easier to travel." Since adopting that stance I have have very, very few negative interactions with parents. Still I wonder how we as professionals could do more to work with parents to attain the best possible outcomes for there students. How can we create better partnerships? How can we best present information? How can we create school-home carry over (and vice versa)? How can we point them towards resources for things like respite, personal care attendants, transition, community leisure opportunities, behavior management and AAC? Reading these blogs by parents of children with special needs helps me think about approaches that might work. There are only 10 days left on my class's Donors Choose grant application for an Interactive Whiteboard. Right now only $611 out of $2,833 has been funded (by two individual donors, both women, both from Massachusetts. Thank you so much Kirsten and Laura! Regular readers of this blog know the many exciting ideas my class and I have for using an interactive white board. We plan to use it for every subject, from using it with Boardmaker SDP as an interactive talking calendar and weather map during morning meeting to using it with sites like Silly Books or Tumblebooks with the mouse on the arrow for single switch users to "read" a giant interactive book to their friends. We will use it for all subjects. 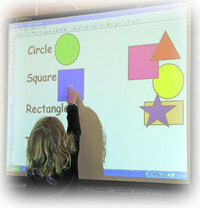 To read about how other teachers are using interactive whiteboards check out Talking Smart Boards or Teachers Love Smart Boards. During the process of cleaning up the links I visit each and today I went back to an old favorite Dade School's Pre-Kindergarten Boardmaker Page. They have totally re-done there site and added tons of materials, everything from books and recipes to songs and place mats. Check it out! I was pretty excited when Firefox 3 came out a couple of weeks ago, but my excitement waned when I realized some of the best accessibility features, such as Accessibar, CLiCk, Speak and FireVox weren't ready to go yet. Today Paul Hamilton at Free Resources from the Net for (Special) Education shared that one of these Firefox add-ons, CLiCK, Speak is ready! After some checking I discovered that Fire Vox and Accessibar are also ready. CLiCk,Speak is a free Firefox Add-On that enables someone to put the cursor where you want to begin reading and click the green button, then click the red button to stop. Another option is to highlight a section and click the white button. To adjust the CLiCK, Speak options go to Firefox ‘Tools’ then to ‘CliCk,Speak Options’. You can change the reading rate and the pitch of the voice. Fire Vox is "an open source, freely available talking browser extension for the Firefox web browser. Think of it as a screen reader that is designed especially for Firefox... . All Fire Vox commands are keyboard activated. In addition, the keyboard commands can be easily reconfigured in the self-voicing Fire Vox Options menu to avoid conflicts with other accessibility software products or to suit personal preferences. For sighted users who need a screen reader, such as web developers interested in testing their webpages or educators who work with visually impaired students, Fire Vox's highlighting feature makes it easy to keep track of where it is reading from on a page. This highlighting feature is also useful for dyslexic users and partially sighted users." Here is a great tip for using Fire Vox with single switch users to listen to (and read along with highlighting) online texts and e-books in the Firefox browser. CTRL+Shift+F is the hot key combination for "read next chunk", if you use a configurable switch interface (such as Joy Box USB or X-Keys), using a macro or joy to key software and set the switch to CTRL+Shift+F, then a student can have the computer read the website or e-book paragraph by paragraph by pressing a switch to advance. If you prefer sentence by sentence reading you can enter the Fire Vox menu option by pressing Ctrl+Shift+M and then turn on "read by sentence". Accessibar is an (almost) full accessibility add-on for Fire Fox. It allows you to change the text and back ground color to any of 70 choices, change the font and font size, the link spacing, hide the graphics (including flash) and read aloud with a single click. It is complex for our most involved students, so usually it is best to train paraprofessionals and peer tutors to use Accessibar to set up the web it is more accessible for some students. There have been rumors for a while, but today Dynavox has formally announced eye gaze control for the Dynavox Vmax coming in the fall. They are calling the device the EyeMax. It has been designed working with the folks at Eye Tech. The EyeMax will be an add-on accessory, it works via USB connection and is compatiable with any VMax that has 512MB or 1GB RAM for memory. Individuals at dynvaox have told me that they believe it accomodates extranneous head movement as much as any other device out there, including the Tobii, but that a full evaluation with the EyeMax should be done before ordering*. Dynavox believes that having the EyeMax being an add-on access piece (like a switch or track pad is) will work better for folks with progressive disorders like ALS, muscular dystrophy and mitochondrial disease. Thus the EyeMax can be ordered when it is needed, as opposed to buying one device that become obsolete and then having to replace it with a device that has integrated eye gaze control. My only concern is the usual concern, funding. Maybe, just maybe the powers that be of funding will realize it is cheaper to buy one device and add an EyeMax later, but somehow, I doubt it.